I am halfway through my #InkTober challenge to draw a mandala everyday for the month of October and I’m not bored yet! It happens…believe me! But there is something about mandalas that I just love and find so meditative. Making a journal with different colored pages kept the inspiration going as did using The Crafter’s Workshop stencils to get some of the pages started. If you want to follow along daily with my mandala drawings, you can join me on Instagram or Facebook. 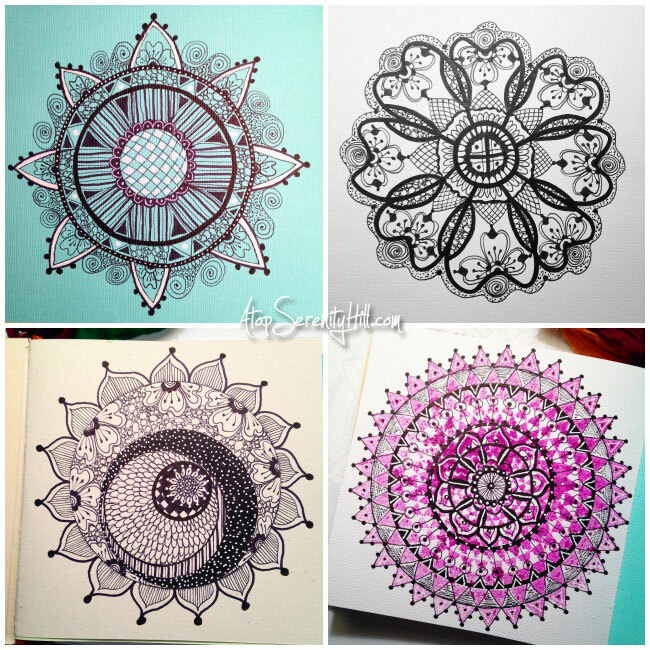 Beautiful mandalas Consie! The black ink on white paper is gorgeous but I love the colored ones too. I love your adorable hair cut and your lovey mandalas! 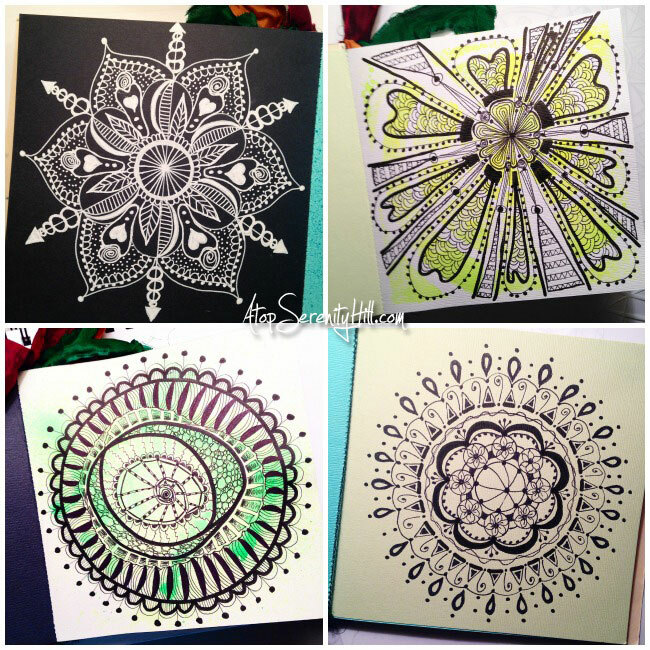 Gorgeous mandalas Consie… I accepted the Inktober challenge too although I’m two drawings behind now. There’s something very relaxing drawing in ink which I love. What extraordinary work you do. Such incredible detail. Ohhhh wowowow!!! All of these are amazing. Great detail. I love your mandalas Consie! They are absolutely mesmerizing!